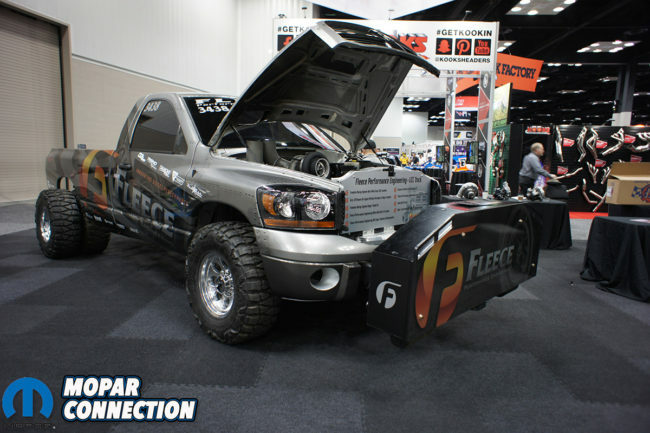 Although the cold weather and snow decided to show up for Performance Racing Industry (PRI) Show too this year, it was still a success. 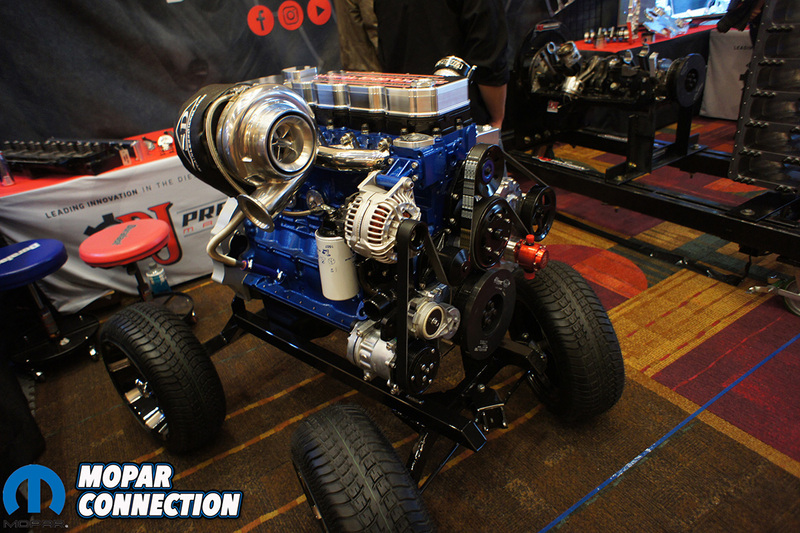 This year marked the 30th Anniversary for the PRI Show. 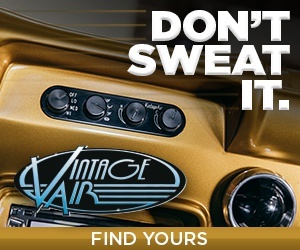 With over 1200 vendors, plenty of guess appearances and more shiny billet parts than ever before, we can see why it has lasted 30 years and why it’ll last another 30. We have been attending the PRI Show for many years. 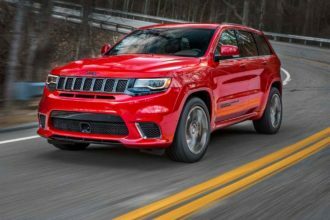 Every year we see more and more new products hitting the Mopar market. Sometimes we even find some that aren’t “new” but companies or parts that we didn’t know existed. 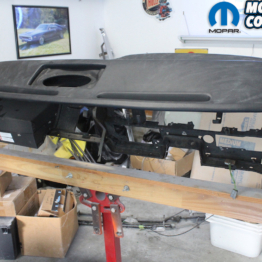 The aftermarket is so large its hard to keep track of every part and piece for the whole Mopar spectrum. 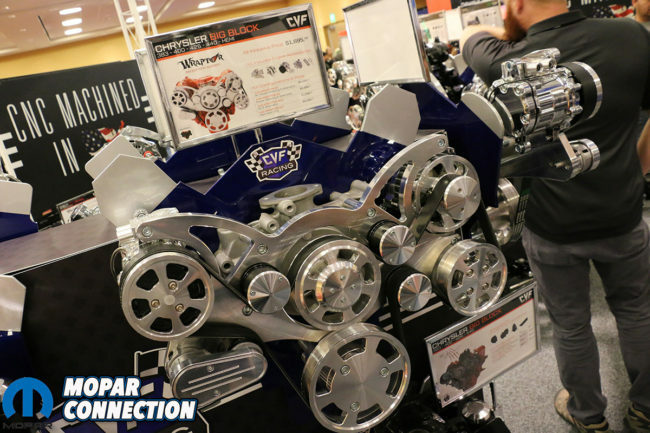 Luckily with shows like PRI and SEMA we are able to discover new and upcoming companies or products that we may have overlooked. 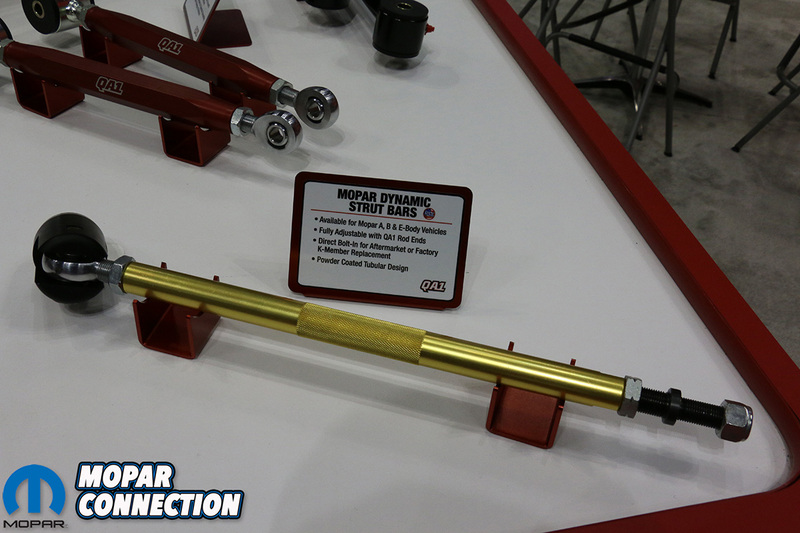 Top: BMR Suspension’s booth showing off their new LX suspension. Bottom Left: CVF’s big block Chrysler Wraptor kit on display. 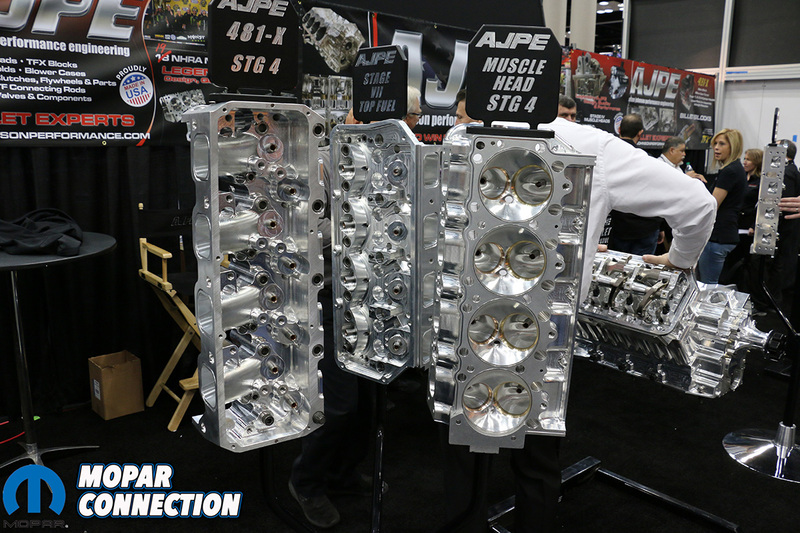 Bottom Right: ATI Transmissions new Bolt-Together 8″ torque converter for 727 transmissions. 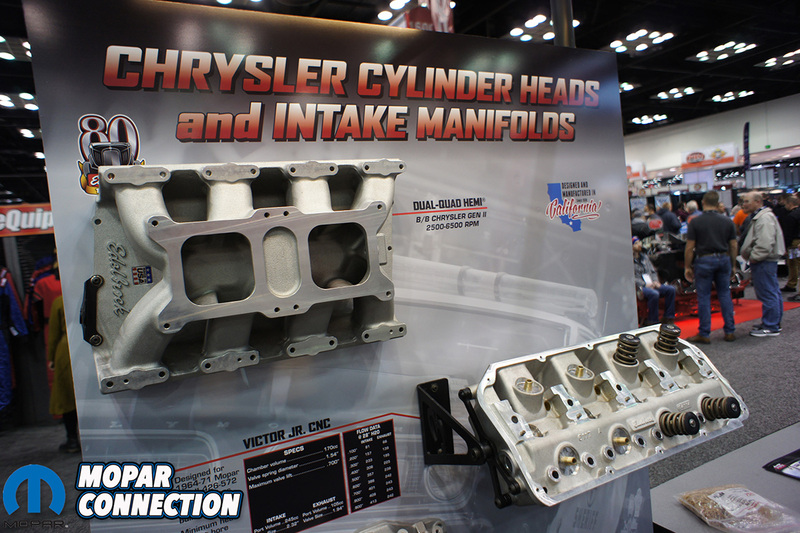 This year overall we noticed a big push towards Gen III HEMI motors and that trend continued at PRI. 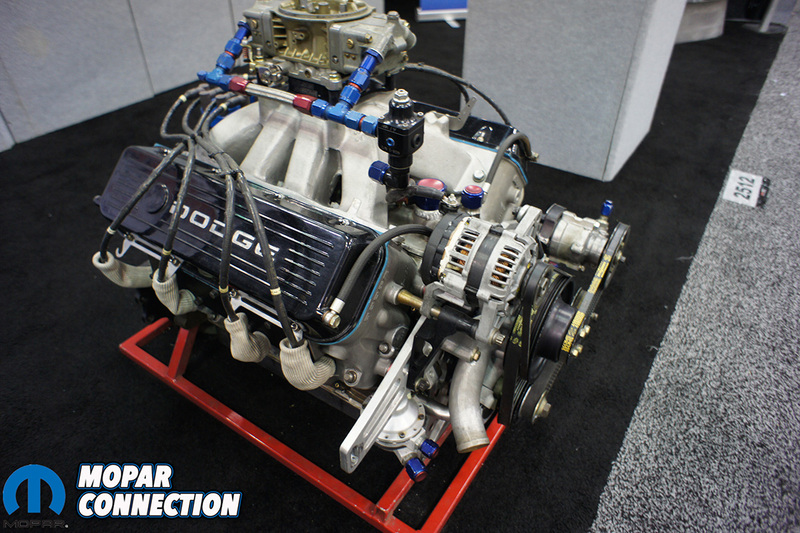 As we have mentioned before, Edelbrock offers aluminum Gen III HEMI heads and launched a supercharged 800hp 426 Gen III HEMI crate engine at SEMA. 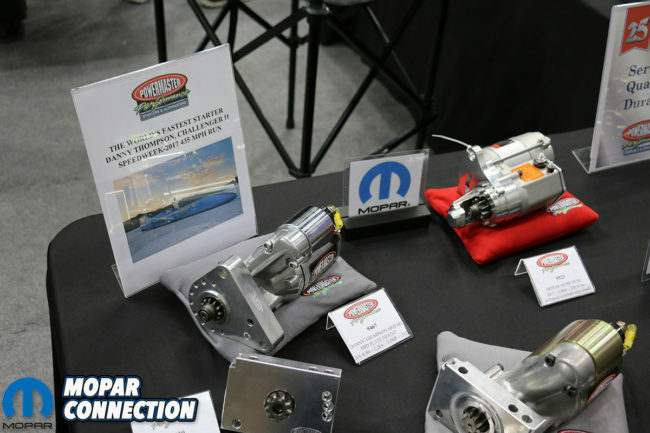 Not only are major companies like Edelbrock focusing on Gen III HEMIs but we found multiple smaller companies offering parts too. Thitek and Prefix Corporation are offering multiple options for CNC heads and blocks. G3 Performance has your option of a water or solid aluminum Gen III HEMI blocks. These were only a few but we are glad to see the market expanding. 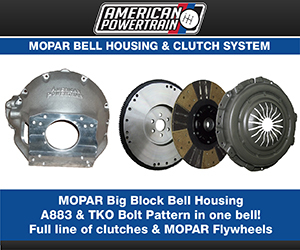 The increase in Gen III HEMI parts is understandable with it becoming a popular motor for drag racing but we saw an increase in Mopar parts in general. CVF had their new Wraptor kit for the 5.9 Cummins. 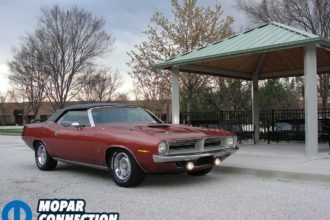 Proform had numerous official licensed Mopar parts. 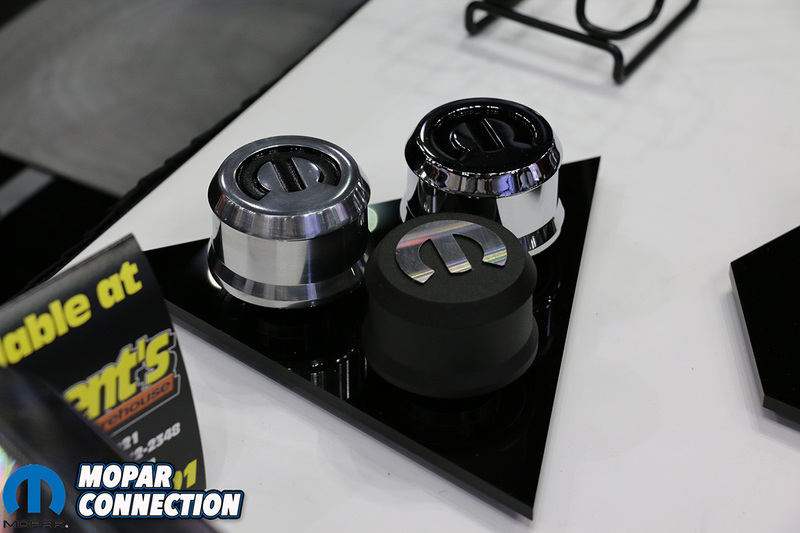 BMR Suspension had a few of their new suspension parts on display for LX platforms. 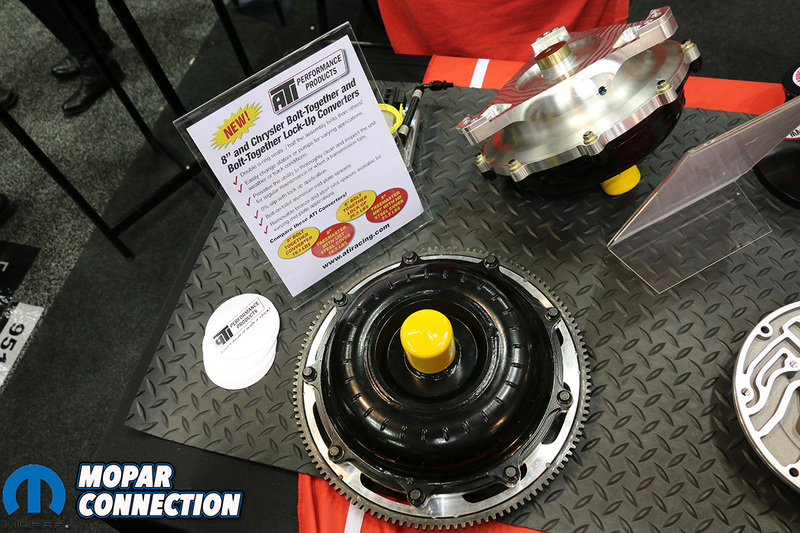 ATI Transmission had an impressive 2 piece billet torque converter for 727s on display. 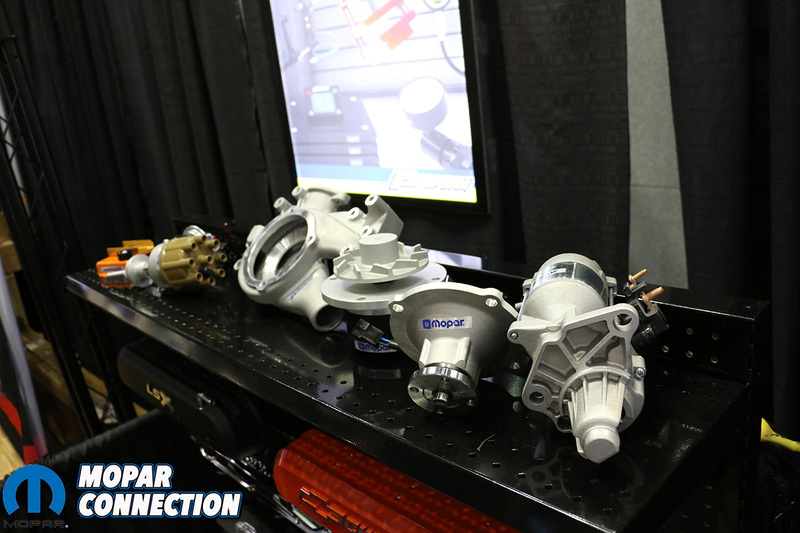 HP Tuners were in full force answering questions about their tuners for multiple platforms including the Gen III HEMI. Top Left: Cummins new R2.8 4 cylinder turbo diesel crate motor. 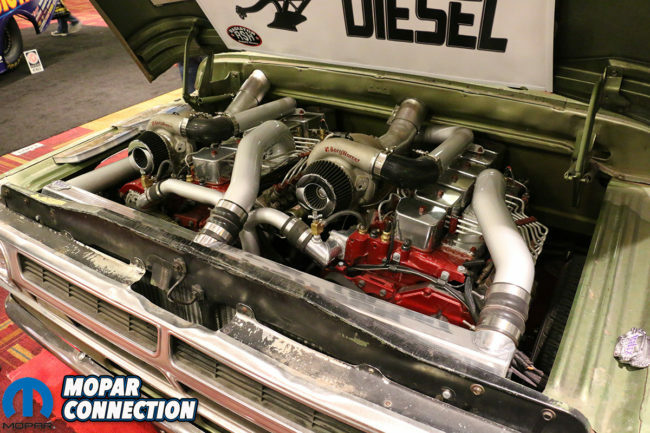 Top Right: Edelbrock’s Hemi intake and heads. Bottom Left: Powermaster’s Mopar starters. Bottom Right: QA1’s Mopar strut bars. 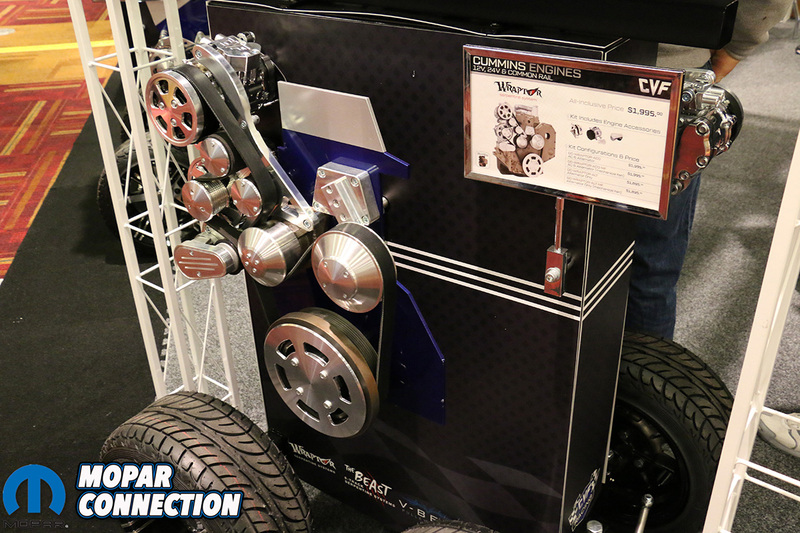 Performance parts might be the main focus of the PRI Show but there are many other attractions. This year you could have written a novel with all the signatures of all the guess stars. Every corner you turned on any given day you ran into a line of enthusiasts waiting for autographs. Richard Petty showed up at the MAHLE Motorsports booth. Dominator from Street Outlaws was at Howards Cams. Top Fuel Champion Leah Pritchett hung out at the E3 Spark Plug booth. These are only a few of the many that appeared at different booths through out the weekend. Although it wasn’t listed on PRI Show’s website, we happen to meet Herb McCandless “Mr 4 Speed” himself. He was wondering around the Powermaster Performance booth and we were lucky enough to hear a couple stories before he took off. 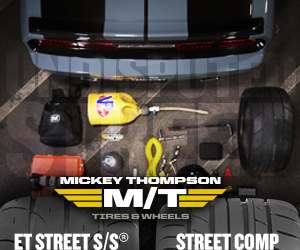 Top Left: Proform Mopar breathers. Top Right: Proforms official licensed Mopar water pumps and distributors. Bottom Left: Powermaster’s black high output alternators. 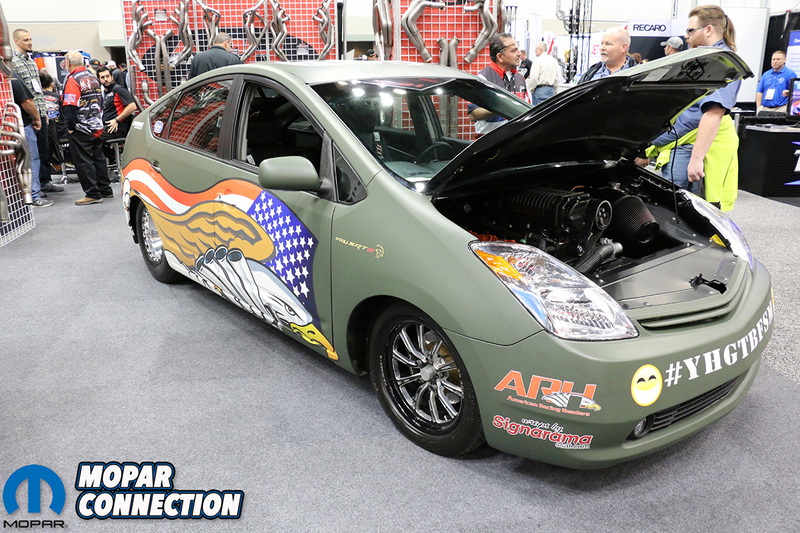 The last part of the PRI Show and sometimes the most exciting is the cars. 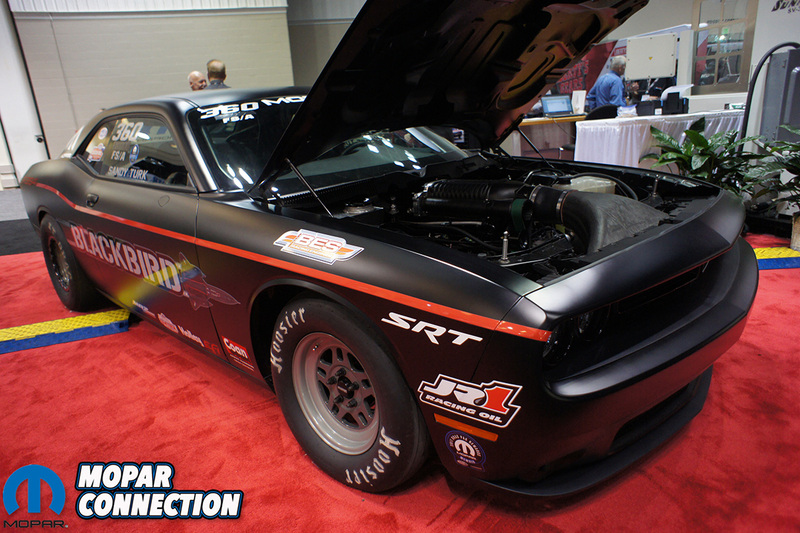 Although you will find many other makes, there were a few Mopars scattered throughout the show. 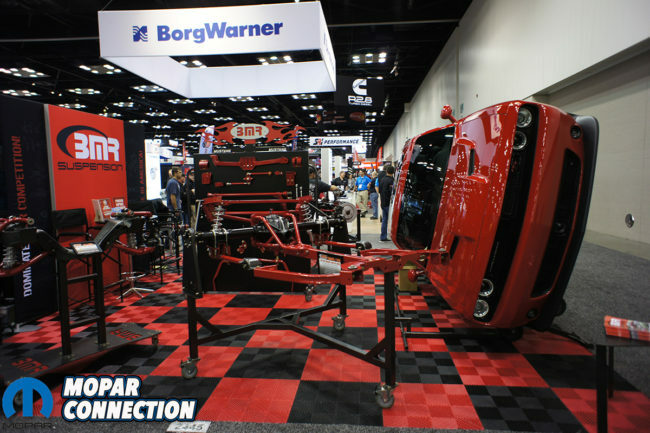 The most interesting was the Challenger sitting on its side at the BMR Suspension booth. It constantly had a crowd around it. 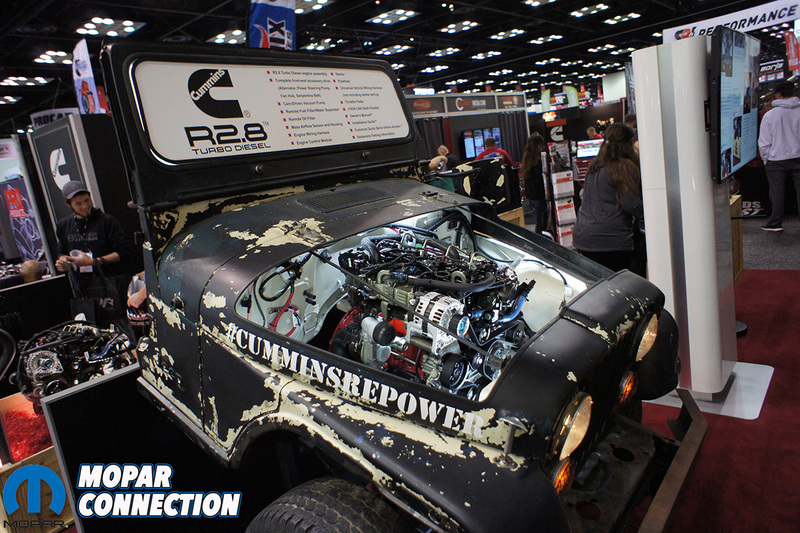 There was half a Jeep at the Cummins booth showing off the new R2.8 Turbo Diesel Cummins crate motor. 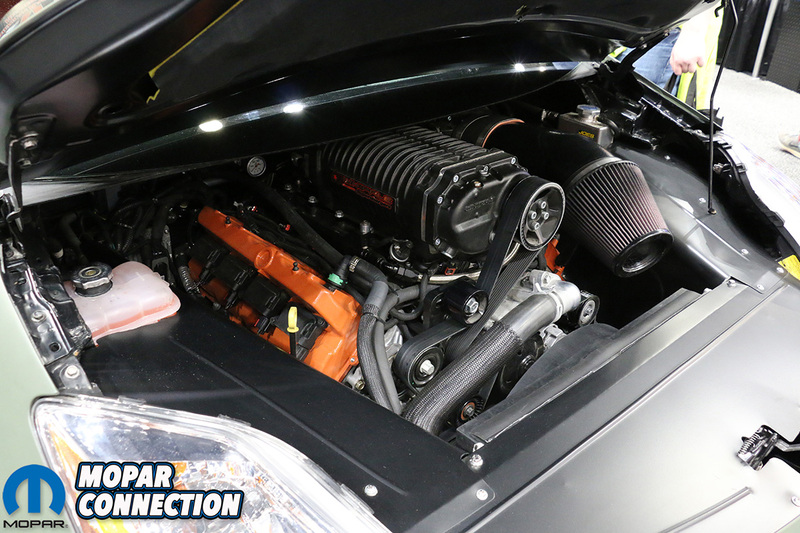 Although it’s only half Mopar, there was a Prius with a supercharged Gen III HEMI crammed under the hood. 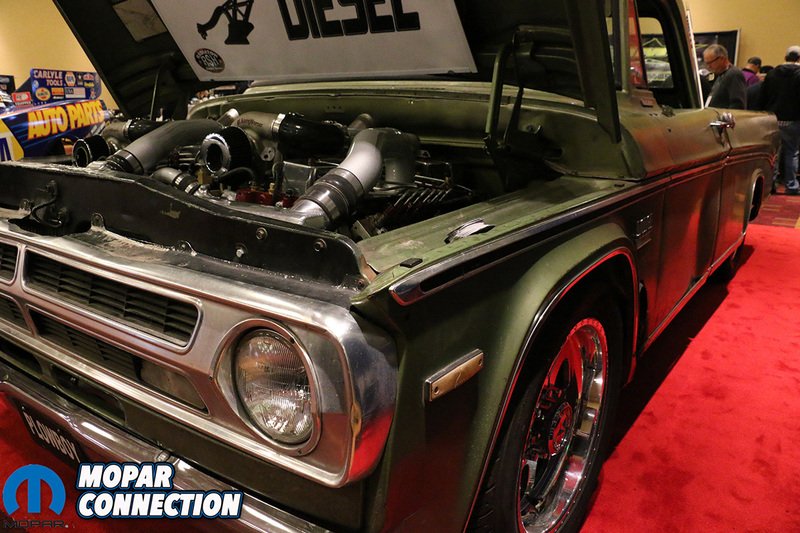 One of our favorites was the Skunkworks 1964 “Violent Valiant” parked at the Alcon booth. 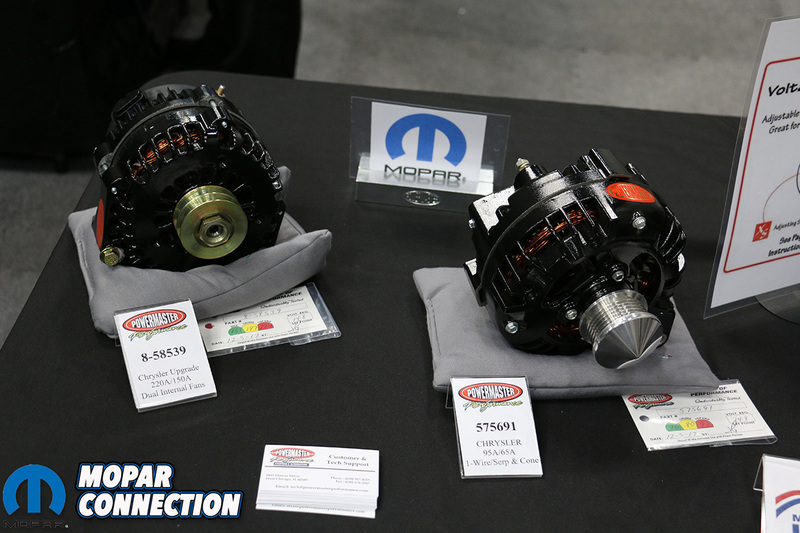 Above: A few of the awesome Mopar vehicles from the show. Every year we try to prepare for the PRI Show and it seems no matter what we do its overwhelming. 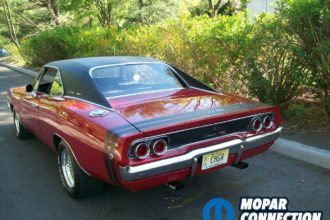 At least this year we were over whelmed with more Mopar cars and parts than we have seen in the past. The year might be ending and show season is over but that just means that 2018 is even closer. We met some great people and saw some incredible parts. 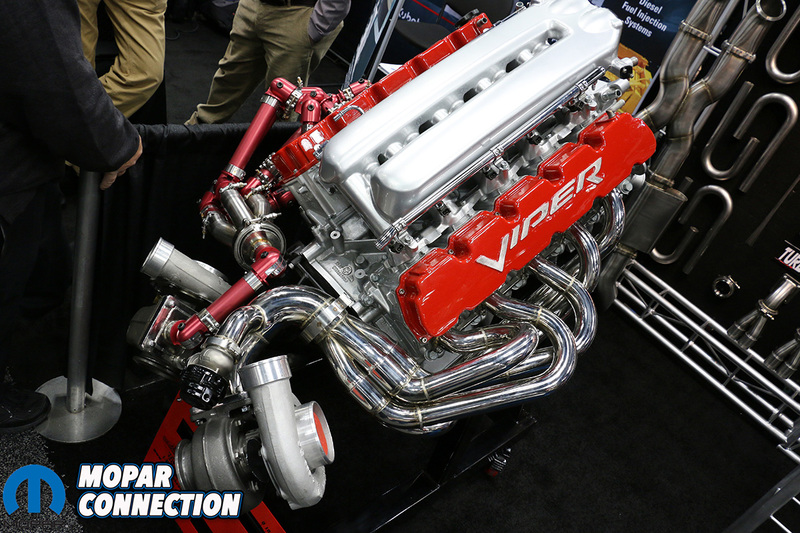 As we look forward to next years PRI Show, we also look forward to the new partnerships and great content that 2018 is yet to bring.